I’ve been working at home for a year, and sometimes it can be hard to separate work life from home life. That’s why I follow a strict rule — I never do any work from my bed. Having a designated “no-work” space has made me moreproductive and allowed me to decompress at the end of a long day. In 2018, I finally took the plunge and started working from home. I work part time at a library, and the rest of the time I work as a freelance writer out of my home, or car, or coffee shop, or pretty much anywhere with WiFi. That is, except for my bed. I follow a strict “no work in bed” policy, and it has improved my productivity as well as my mental health during that all-too-important time before bed. According to the most recent Census data, 5.2% of workers worked the majority of the workweek at home — that’s a full 8 million people. Working from home can be exciting, and also very challenging. When you spend your day at home it is easy to see the laundry that needs to be done, or the vacuuming you’ve been ignoring this week. But worse than that, there is no one monitoring what work you do and how much of it you get done. 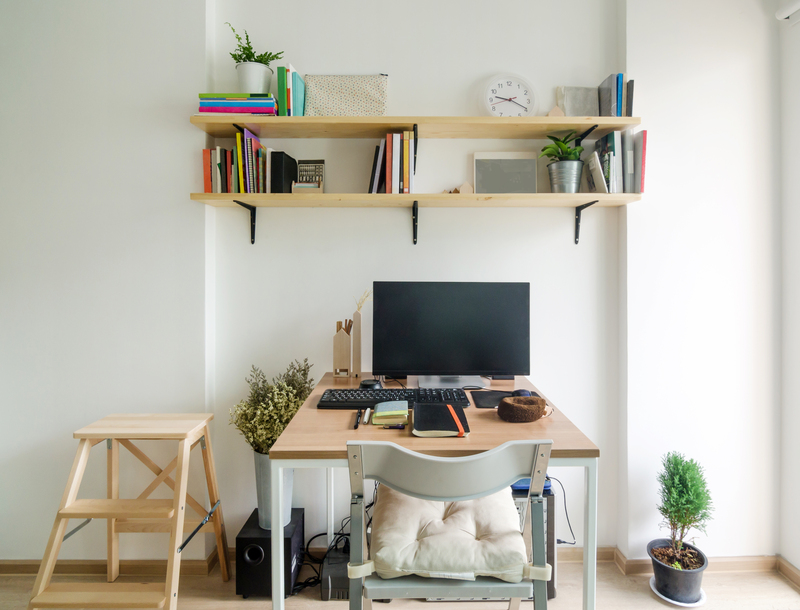 For those like me who are more productive in the evenings and late at night, working from home can drastically change our level of productivity. But there is always the risk of falling into an internet wormhole. I found the more I tried to work in bed, either late at night, or early in the morning, the less I got done. Once I started noticing this pattern, I decided to stop working in bed. Since I am most active at night, it’s much easier for me to set up shop at my desk or kitchen table rather than get cozy in my bed. The same goes with mornings: Since I’m not a morning person, I am more productive once I get out of bed and get set up in my kitchen or my office. By separating the space where I relax and the space where I work, I found that I didn’t try to relax while I worked. And this isn’t just about productivity. It is about having a clear separation between my work life and my home life. Just like those who say it is important to have a designated office space when you work from home, I find it is important to have places that you choose not to work in. For me, its my bed, but it could be anywhere — your kitchen, living room, or even your porch. Having this physical divide between work and home makes it easier to “clock out” at the end of the day. I know if I made it a habit of working in bed I would be constantly checking email or rewriting drafts and I would never get the time to decompress at the end of my day. Working from home has been amazing for me. I am in charge of my own time, and I get to work according to when I am most motivated. For those of you thinking about making the switch, I would highly recommend it. Just know that it is a learning process, and you have to find the best schedule and “office” that works for you.